1 simple and convenient installation, without another pipe, is conducive to the work space clean and beautiful. 2 high power brushless DC motor, air volume, long life. 3 built-in circulating air filter to avoid the indoor cooling / heating is discharged to the outside, the real meaning to save energy, and meets the requirements of national environmental protection. 4 three filter design to filter harmful substances in the smoke, the protection of human security. The primary filter and medium efficiency filter can be replaced individually, prolong the service life of filter. 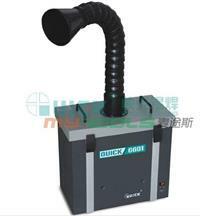 5 adjustable air volume, air duct adjusting, positioning and orientation.